The New Biggie Nail Harmony Gelish CLEANSER & Gelish SOAK OFF Gel Remover Will Help Save You Money! Don't be Gelly of the new Nail Harmony Gelish additions! 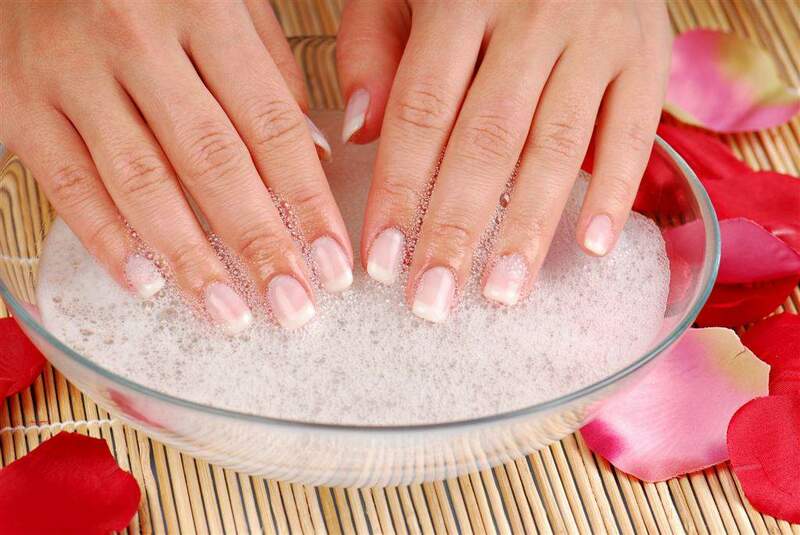 As we anticipate, gel polish manicures and pedicures will only continue to increase in popularity as will the need for product. Purchasing the 32 oz. will help to save your business time and money. Stock-up and Save! HOT New Nail Trend... Magnetic Polish: Magneto Gel Polish by Gelish! Magnetic polish is all the rage these days, and now Gelish has jumped on the bandwagon too! Your clients can experience 21 Days of flawless gel polish, now with cool Magnetic effects! Gelish has released a line of 6 new gel-polishes with iron powder built into the formula. When you hold the special magnet over the polish, the iron powder in the polish creates nail art like none other! Paired with matching nail laquers for easy-to-match pedicures, Magneto is bound to ATTRACT more clients than ever! Expected to ship by February 1, place your Pre-Order today, and be the first in your town to offer this new phenomenon! Check out the Video below to see Gelish Magneto in action! To View the FULL Gelish Line (including the new 18G Lamp and Winter Reds!) CLICK HERE! 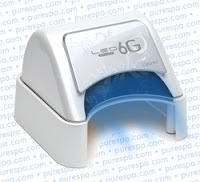 This just in...Pure Spa Direct is now carrying the Gelish LED 6G Curing Lamp by Nail Harmony! For all users still using UV light to cure your gel polishes, now is the time to change! If you haven't tried using a LED light, you don't know what you are missing! The Gelish LED 6G Lamp is a smaller and more economical version of the Gelish LED 9G Curing Lamp, but still packs the power! Curing times for both lamps is the same, and much shorter than their UV conterparts. Also, with 50,000 hours of LED Bulb Life, the Gelish LED 6G Curing Lamp can last as long as 5-7 years! A major benefit to this lamp is that you will never have to worry about buying replacment bulbs for the life of the lamp, which is be a huge cost-saver over time! Much faster curing times than UV Lights. Comes with a stand for ease and comfort! Sensor feature! Light turns on when hand is inserted under the lamp, and shuts off when curing time is up! Purchase the Gelish LED 6G Curing Lamp Today! Time saved=more clients serviced=more profits= Happy Spas and Salons! 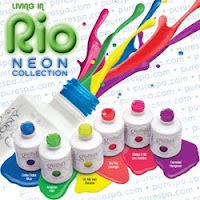 Escape to Rio with Gelish's New NEON Collection! It's a festival of polishes! Based on the Brazilian theme, the colors are bursting brighter than Carnaval dancer's tail feathers. They will be a huge hit this summer... guaranteed! With the launch of these new colors, Nail Harmony’s Gelish line will now contain 78, no-chip, no-smudge, long-lasting gel polishes! Technicians, you now have the opportunity to recreate, mix, and blend even more colors than ever before. Get creative! Layer colors, fade the color, or create any design your clients choose. PRE-ORDER TODAY AND BE FIRST TO RECEIVE THESE HOT NEW NEON COLORS!